Billy leaves behind 2 young daughters. Family and friends have started a gofundme page to help with funeral services and expenses. Family and friends of William “Billy” Ray Schutkesting, Olathe, who was shot and killed late Wednesday night at the Double Nickel Bar & Grill in Olathe, have started a gofundme page to help with funeral expenses. Schutkesting, 38, leaves behind two small daughters. Billy Schutkesting leaves behind 2 young daughters. Family and friends have started a gofundme page to help with funeral services and expenses. 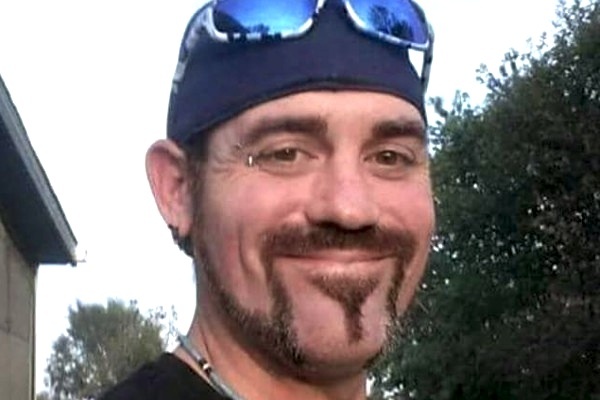 The 38-year-old man who was shot and killed Wednesday night, March 30, at the Double Nickel Bar & Grill near Santa Fe and I-35 in Olathe has been identified as William “Billy” Ray Schutkesting, Olathe. The 28-year-old man has been arrested in connection with the murder is Michael Chinn Jr., Augusta, Kan. It is not known if the two knew each other. According to Olathe police, officers were called to the scene in the 100 block of South Rogers Road about 11:39 p.m. There they found the Schutkesting with a gunshot would to the chest. He died at the scene. An Olathe K-9 officer and his partner found Chinn who had crossed I-35 and took him into custody. This case remains under investigation by the Olathe Police Department. Anyone with information regarding this investigation is asked to call the Olathe Police Department at 913-971-6950 or the TIPS Hotline at 816-474-8477. Enjoy fresh produce, flowers, herbs, eggs, and more, at two Olathe Farmers’ Market locations beginning Saturday, April 23. The Black Bob Market is located at 14500 W. 151st St. in the east side parking lot near Field 1. The Olathe Community Center Market is located at 1205 E. Kansas City Rd. in the west parking lot. A 38-year-old man was shot and killed Wednesday night, March 30, at the Double Nickel Bar & Grill near Santa Fe and I-35 in Olathe. A 28-year-old man has been arrested in connection with the murder. According to Olathe police, officers were called to the scene in the 100 block of South Rogers Road about 11:39 p.m. There they found the victimu with a gunshot would to the chest. He died at the scene. Information about the district’s summer driver’s education program is now available in high school offices. The first session will take place from May 31 to June 28 and the second session will occur from June 29 to July 28. The district offers morning and afternoon classes at Olathe East, North and South high schools. The cost per session is $235. Parents should use the envelope attached to the application available in the school offices, and mail their child’s application. Stock was one of 20 education leaders from across the country who are being recognized for their ability to inspire colleagues to explore and embrace innovative technology solutions and instructional strategies that contribute to high-quality learning experiences for all students. District Math Coordinator Nancy Hughes and Assistant Superintendent of Teaching and Learning Jessica Dain will conduct evening meetings in April to help parents of fifth-graders understand their child’s middle and high school math course options.